Josh Richards helps clients involved in complex commercial and regulatory disputes address the issues they face through litigation, appeals and strategic responses to government enforcement agencies, particularly for colleges and universities. The depth of his experience representing industries ranging from higher education to insurance is complemented by the breadth of the courts where he has handled cases, ranging from state courts to the Second, Third, Fourth, Sixth, Ninth, and Eleventh Circuit Courts of Appeals, the United States Supreme Court, and Pennsylvania's appellate courts. Because many of Josh's clients operate in a highly regulated environment, he has an appreciation for the need to stay current on rapidly-evolving regulations. His ability to craft defenses and creative solutions in line with an ever-changing environment demonstrates his technical grasp of the law and his comfort with helping his clients confront and respond to complex legal situations to reach mission- and business-driven solutions. Josh also has a first-hand perspective on how courts operate and adjudicate complex issues from his service as a board member for Pennsylvanians for Modern Courts, which advocates for the use of a merit system in selecting judges, and his past role as a law clerk for a federal judge in the Eastern District of Pennsylvania. Josh is the Vice-Chair of the Higher Education Practice and a go-to member of its team which has handled hundreds of matters involving Title IX and related issues for colleges, universities and K-12 schools. Josh understands that these institutions have unique challenges and priorities and he approaches the Title IX work and other matters involving litigation, compliance and/or government investigations from a mission-driven perspective. He strives to provide practical advice that protects institutions without compromising their ability to fulfill their primary purposes. Josh brings this understanding and approach to matters involving employment disputes, student conduct, faculty relations, board governance, financial exigency, accreditation, minors on campus, and civil tort claims, including student death and abuse matters. In addition, he regularly conducts on-site training sessions for higher education clients regarding compliance with civil rights laws and the Clery Act, and also advises them on policy matters. Given the sensitivity of these matters, client names can be provided upon request, with client consent. 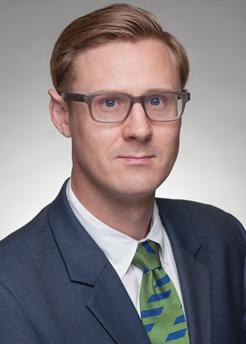 Josh has broad experience handling commercial and appellate litigation, including disputes involving insurance coverage and arbitration, trusts and estates, complex business litigation, securities, and bankruptcy.